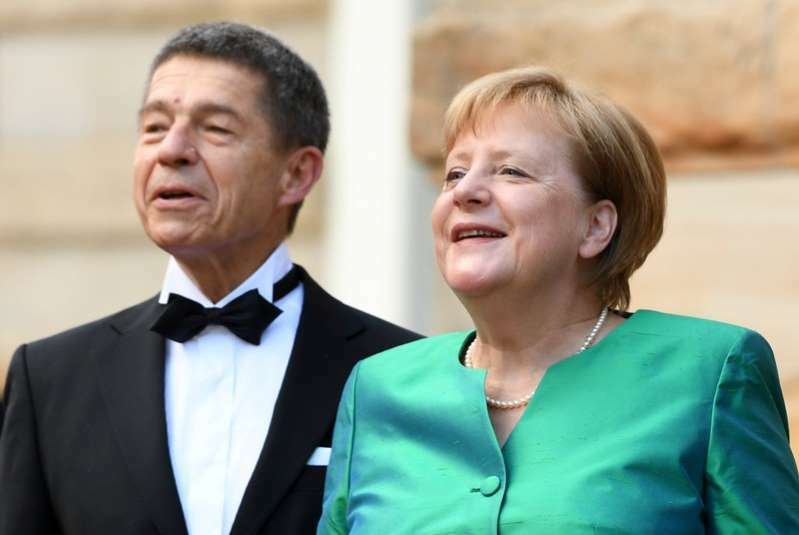 German Chancellor Angela Merkel was last seen in public with her husband, Joachim Sauer, on July 25, 2018, at the Bayreuth Festival in Bavaria. Where is Angela Merkel? That question is preoccupying German media after the chancellor's husband was spotted on holiday in northern Italy without his wife. In past years paparazzi have gotten pictures of Merkel and Joachim Sauer hiking in the Alps but so far this summer they have had to settle for him along with his son from a previous marriage. [post_ads]The mass-selling daily Bild trotted out speculation ranging from a family visit in eastern Germany to some kind of cloak-and-dagger work. "Where is the chancellor hiding?" ran its headline. "At a summer residence or with her 90-year-old mother in Uckermark? Marital crisis? Clinic? Secret mission?" [post_ads_2]Asked about her holiday plans, Merkel told reporters last month she was looking forward to a rest but that the details were private. A spokesman for the chancellor, who is 64, declined comment on her whereabouts on Thursday. The couple, who have been married for 20 years, were last seen in public together on July 25 for their traditional appearance at the Bayreuth Festival in Bavaria, a must for fans of composer Richard Wagner. While Sauer rarely appears in public with the world's most powerful woman, the professor of theoretical chemistry usually accompanies her each summer to the Italian region of South Tyrol (Alto Adige). There is little political activity in Germany during the summer break from July into August, and Merkel's office has no events listed on her official schedule. Her Christian Democrat party holds its next leadership meeting on Aug. 20, an event Merkel usually attends. Merkel, who has led Germany since 2005, has had a punishing year. She narrowly averted the collapse of her coalition government in a row with Bavarian conservatives over immigration and faces a challenge from the far-right Alternative for Germany (AfD). Der Spiegel magazine joked that Merkel might be making a point to AfD supporters that she is indispensable. "Is she trying to show those who say 'Merkel must go!' what Germany is like when 'Merkel must go' becomes 'Merkel is gone'?" it asked. With German politics nearly dormant, media have otherwise focused on a heatwave and the fallout from soccer star Mesut Ozil's decision to quit the national team, citing "racism" because of his Turkish roots.